my poster is about egology, around the cadre there is a liane for represent the nature, the tree, they represent the forest. the earth she, she is the planet to be saved, the smiley is here because ecology is "funny" and "cool". 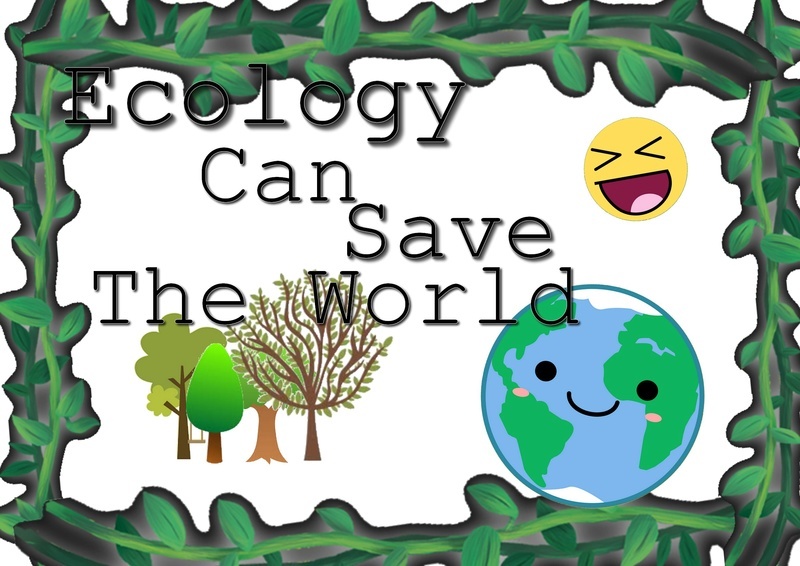 and my slogan is "Ecology Can Save The World".